There is a lot of talk about biodiversity and ecology these days. Politicians are producing strategies, teams of scientists are assisting the recovery of endangered species, and there are grants from all sorts of organisations to help plant extra habitat. That's a lot of public money and you may be wondering if it's really worth it. In the box-ironbark region, much of the habitat needing restoration is on private land, and the buck stops with farmers! In these tough economic times, what's in it for people on the land? Why should they support conservation of endangered species like the Regent Honeyeater? It's a lot of money and effort to save a bird!! Haven't we got lots of other honeyeaters anyway? Well what about these questions? Are they fair enough when farmers are struggling to make ends meet? Does it really matter if we lose a single species? I think the answer is a very big yes, and that's not just a radical greenie sentiment that would save the bird at any cost. It's really about saving an ecosystem that supports lots of species — including us! Decline of the Regent Honeyeater is just one more sign that the ecosystem is way out of balance, taking a nosedive in fact. The push for biodiversity is more than a museum mentality. Diverse ecosystems are healthy, self-sustaining ecosystems! When there are many plant and animal species living together, there are built-in checks and balances to keep the system operating for the benefit of all. Plants, insects, birds, predators, birth, death, decay, nutrient cycling, shelter, habitat — everyone is catered for. And if any one species increases for some reason, then there's suddenly more food for something else, and these pull the first one back into line. Simplified ecosystems don't have it so good! 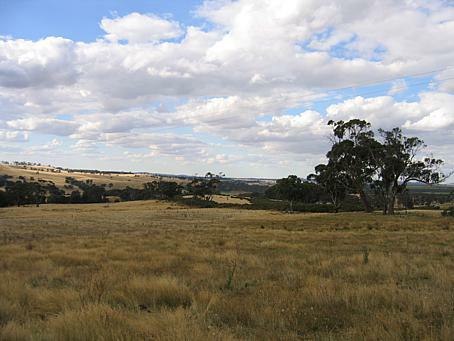 Take for example the rural scene we have come to accept as ‘normal’ — scattered trees, grazing land and no shrubs. It wasn't always that way! When insect populations increase due to boosted nutrient levels in pastures, they attack the trees more voraciously than they do in natural forest. And here's the rub — with no shrubs present, there are fewer birds and wasps to pull the insects back into line. The ecosystem has lost its capacity for self-regulation; it's out of balance. And then there's all the birds which nest or shelter in the understorey shrubs. Did you know that birds take up to 60% of the available insects in a healthy woodland? Planting the right shrubs will help put an end to the relentless insect attacks that lead to dieback of your valuable old trees. And that's only half the story! 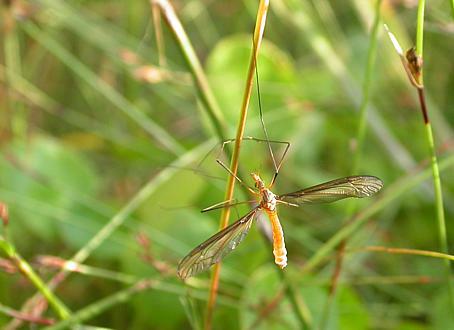 Nectar-rich shrubs like Sweet Bursaria, tea-trees, rice flowers and everlasting daisies also attract a range of parasitic wasps and flies that are very helpful to the farmer. With nectar as their energy source, these wasps will hunt all day for insect pests like Cockchafer Grubs and Christmas Beetle larvae that destroy the roots of your pastures. Mistletoe proliferation and the rise of Noisy Miners are two more symptoms of ecosystem imbalance, and they both lead to serious woodland degradation if not addressed. 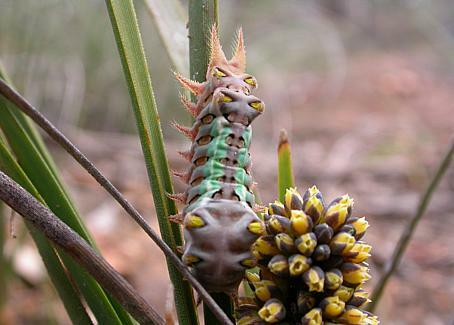 The natural control agents for mistletoe include certain butterfly larvae and possums, both of which eat the leaves, and a host of birds that eat mistletoe fruit without spreading seeds around the trees. But without a shrubby understorey, there is no habitat for these helpful creatures so the control mechanism breaks down. Mistletoebirds on the other hand, seem quite at home in the more open habitat, enjoying the freedom of the trees and spreading mistletoe seeds as fast as they like. The parasitic load can eventually kill the trees. 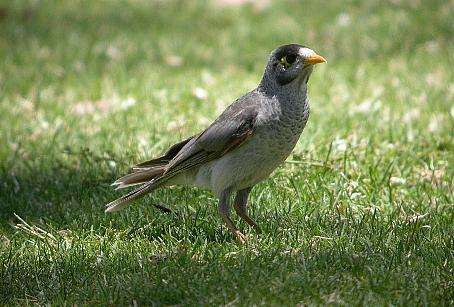 Noisy Miners have gained a similar supremacy in the simplified habitat available these days. Clearing and grazing have left many districts with little more than narrow tree lines along the roads and scattered paddock trees. Gone are the hordes of woodland birds that once scoured the bush for insects, and the aggressive Miners defend their territory against all comers. Without protective shrubs for cover, the smaller birds are easily excluded and the leaf-eating insects multiply rapidly. The message is simple; balanced ecosystems look after their own health. Restore bushland on your farm by planting understorey under the old trees you still have left, and the bushland creatures will look after your farm. But to get the ecosystem as fully operational as possible, it's obvious that we need to restore as much of the original vegetation as possible. Not ‘any old tree’ will do the same job as the local species. As well as providing long term habitat for wildlife, and biological pest control for your pastures, these local plants are well adapted for survival in the local soil and climate. They will even replace themselves by natural regeneration over time so that the one billion trees won't have to be replanted all over again. 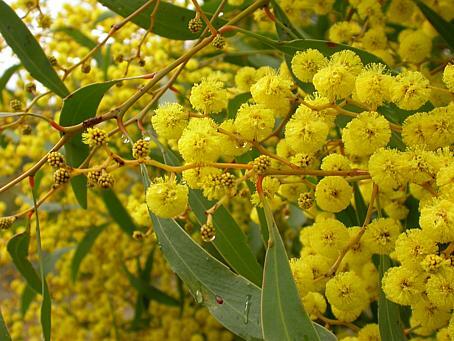 Perhaps you would like to try out the local indigenous plants in your plantings this year. There are plenty of good reasons to give it a go! If you are interested in finding out more about our local ecosystems, the indigenous plants and animals, and how they work in together, try the references listed below. Breckwoldt, Roland (1983): Wildlife in the Home Paddock, Angus & Robertson. Davidson, Rob & Steve (1992): Bushland on Farms: Do you have a choice?, AGPS. Farrow, Roger (1996): Insect pests of eucalypts on farmland and in plantations in southeastern Australia. CSIRO.